Supply Chain is becoming more complex than ever. Multichannel evolution is putting pressure across all cost-to-serve components, especially transportation costs. This makes acquiring a TMS solution inevitable, and enterprises have prioritized TMS initiatives in recent years. In 2018, more and more CIOs and CFOs are prioritizing TMS. Ubiquitous Short-term delivery (same day or two-day) drastically increases the order volumes, while simultaneously demanding tighter delivery windows. Carrier costs have gone up due to higher customer demands, with lower carrier and driver capacities. Shippers are pressured to optimize their transportation costs by improving operations and fine-tuning transportation solutions. Reports show that Freight shipment volume (by all modes of transportation– truck, rail, air, and barge) surged 10.2% in April 2018, compared to a year ago, according to The Cass Freight Index. This is the highest level since April 2007. TMS initiatives have become prevalent as one shipper, Mondelez International, temporarily halted operations in January at its Toledo, Ohio wheat flour mill, because the plant could not secure enough rail cars to carry flour to bakeries. It’s certainly high time for shippers to consider purchasing a TMS or planning improvements and upgrades to their current systems. In the past, cost and personnel expertise remained the two major concerns regarding TMS initiatives. 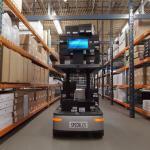 Now, Cloud-based TMS are affordable and easy on shippers’ budgets. TMS solution implementation and maintenance complexities have been addressed via technology advancements, and the growth of 3PL and supply chain-specialty consulting firms. Simplified implementation methodologies and a competitive market for TMS consultants are making TMS a reality for all sizes of shippers. Alternatively, shippers who previously own TMS solutions are looking to reduce their transportation costs by optimizing their network, shipment volumes, route, and by reducing carrier costs, amongest other means. Supply chain leaders, responsible for managing transportation and carrier portfolios, should consider the recommendations below. Improve transportation procurement and operational processes across logistics networks by becoming a preferred shipper to carriers. Plan frequent rate procurement bids. Engage consulting firms to make the bidding cycle shorter and efficiently configure procurement tools to look for higher capacity & commitment, rather than low cost. Be ready to throw lucrative deals (higher than prior rates or market price) on rates and accessorials, in exchange, to avoid spot charges. Strategic partnerships between shipper and carriers create WIN-WIN situation. Shippers get the best rates, commitments, and capacities from their carrier. Carriers get clear load forecasts, which eases their equipment optimization and helps meet their driver satisfaction levels. Invest in network and resource selection studies to optimize loads, and explore intermodal, multimodal, and rail, for long-haul loads, instead of solely relying on full Truck load modes. Evaluate the viability of using alternative modes for capacity by collaborating with other shippers and vendors, and do not solely rely on the shipper’s own fleet and standard carriers. 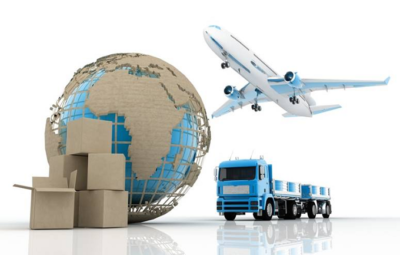 Logistics service providers are exploring all technological advancements. The current trend is to leverage blockchain technology, which enables consortiums of shippers to expose their shipments to various carriers simultaneously, for choosing the best bidder. It pushes dynamic resource selection to the next level. Configure supply chain systems to plan ahead, and tender loads to carriers in advance, to give insight into recurring loads and peak season volumes for successful execution. Partner up with vendors and invest in portals for better visibility and competitive transportation rates. Most of the time, vendors can offer better transportation rates, as they can consolidate loads efficiently along with their other shippers. Research multi-modal strategies and technology advances to offset challenges with equipment and driver shortages. Perform customer-based studies and reconfigure fulfillment strategies from closer DCs, to reduce long-haul loads. 3PLs and public warehouses are also frequently considered as alternatives for out-of-network customers, with minimal IT investments or newly added geos. Consider shared economy networks for last-mile deliveries, as they may be less expensive than traditional carrier models. Perform network studies to assess feasibility for drop shipment or drop & hook opportunities. Revise KPIs for work force management, vendor compliances, and carrier compliances, to monitor and address gaps. 2018 is looking to be a crucial year for global supply chain and logistics service providers. Enterprises are continuously looking to meet high customer demands, while striving to reduce supply chain cost. Please contact me or ITOrizon if you need assistance with transportation projects to save SCM cost and meet client satisfaction. ITOrizon is in forefront of helping supply chain leaders in achieving their supply chain initiatives. ITOrizon works as strategic system integrator, and assists shippers on supply chain execution systems implementations, and ongoing optimization efforts, technology projects, new vendor & carrier on-boarding, and can augment part of the shipper’s IT team. 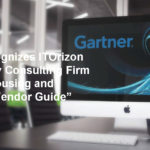 ITOrizon is recognized as one of the leading Specialty Consulting Firms in Gartner’s 2018 “Warehousing and Fulfillment Vendor Guide”.